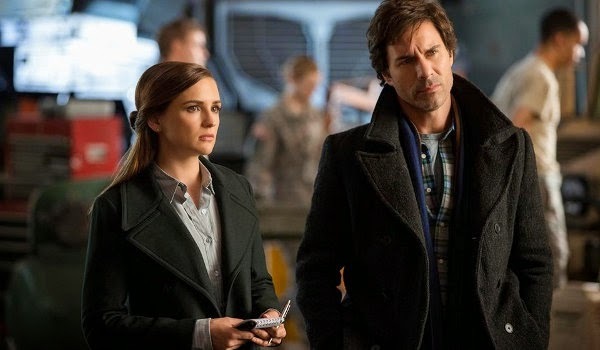 In a reversal of the show's regular formula Daniel Pierce (Eric McCormack) brings what he believes was a cleverly disguised murder to the attention of Kate (Rachael Leigh Cook) and the FBI. After witnessing the death of an art gallery owner whose photosensitive epilepsy was taken advantage of leading to his untimely death, Pierce and Kate also discover someone cleverly used the disruption of the man's epileptic seizure (which wouldn't have been life-threatening if he hadn't hit his head on a bench on his fall to the ground) by replacing one one of the paintings in the gallery with a well-made forgery. Realizing Ivan Kravec (Marton Csokas) is tied to the money behind the Chicago bombing, the CIA send Annie (Piper Perabo) back to Paris to try and find out just how much the former spy knows. Although her cover appears initally intact, things quickly get dicey when Kravec invites Annie to a party at the Russian Embassy where her reputation (killing a longtime CIA double-agent on Russian soil and spending time in, and breaking out of, a secret Russian prison) will certainly precede her. 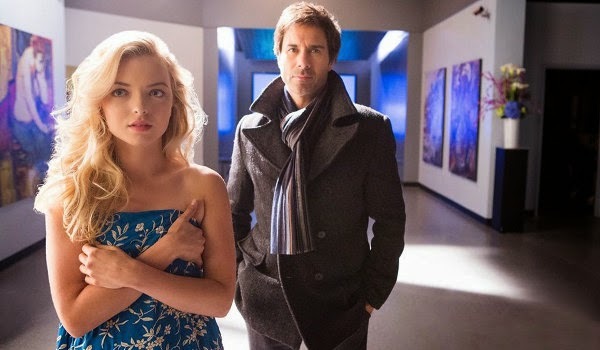 Although Auggie (Christopher Gorham) is able enlist the help of Eric Barber (Dylan Taylor) and another tech to crash the embassy's security system, allowing Annie to make it into the embassy without being immediately arrested, things take a dark turn when Kravec escorts Annie to a private room and drugs his guest and starts demanding answers to who she really is. Premiering at San Diego Comic-Con here's a new extended full-length Red Band trailer for the upcoming Sin City sequel Sin City: A Dame to Kill For featuring Marv (Mickey Rourke), Gail (Rosario Dawson), Dwight (Josh Brolin), Nancy (Jessica Alba), and Johnny (Joseph Gordon-Levitt). The movie opens in theaters on August 22nd. With both Hanna's (Ashley Benson) drunken blurb about New York getting back to A and Lt. Tanner (Roma Maffia) continuing to question Alison's (Sasha Pieterse) story about her prolonged abduction Alison takes some preemptive steps in an attempt to add credence to the elaborate lies told about her missing years. Step one involves temporarily moving in with Hanna and her mother, which only sends a spiraling Hanna further out of control. And step two involves convincing Noel Kahn (Brant Daugherty) to perform a bit of theater in order to convince Ashley Marin (Laura Leighton) of the danger not only she but all the Liars find themselves in. 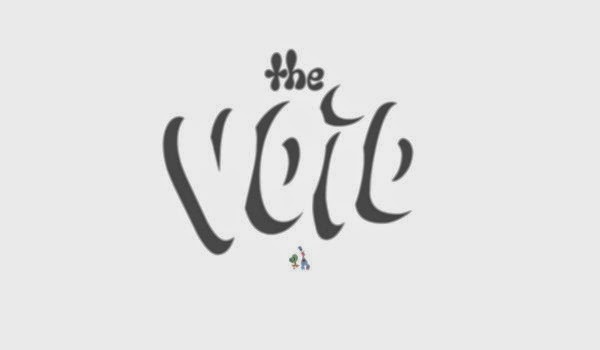 After a short hiatus, the second arc of Velvet begins here with Velvet Tempelton still on the run after being branded as a traitor. However, the spy has more on her mind than simply clearing her name. With the knowledge that the man she loved, and killed under orders (shattering both her life and career as a top ranking field officer), was likewise framed, Velvet has more than enough incentive to return home and begin her own counter-offensive. 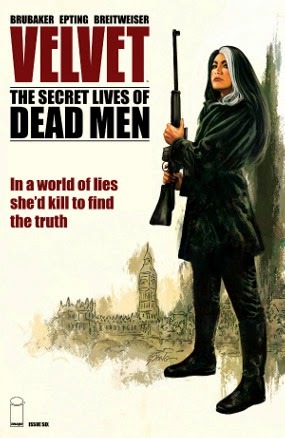 Continuing the Cold War spy-story feel of the first arc, Velvet #6 features our heroine return to England, recruit an asset to help her investigation, and begin creating a list of suspects, one of whom is likely ultimately responsible for the deaths of a pair of men she cared and destroying her career within Arc-7 twice. The brash actions taken by Velvet over the course of the issue, particularly in the final few pages, won't earn her any new friends in the spy organization still chasing her, but as long as she remains one-step ahead of her pursuers Velvet at least has a chance. Worth a look. 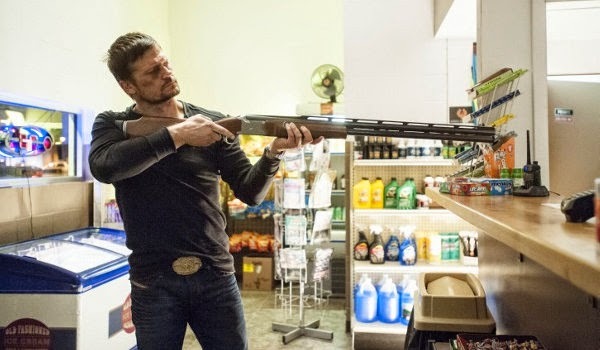 David Ridges (David Midthunder) plays one mind game too many on Branch (Bailey Chase) which leads to Walt (Robert Taylor) temporary locking up his unstable deputy but also to find proof not only that Ridges is alive but that he has been toying with Branch since the shooting with the support of Jacob Nighthorse (A Martinez). 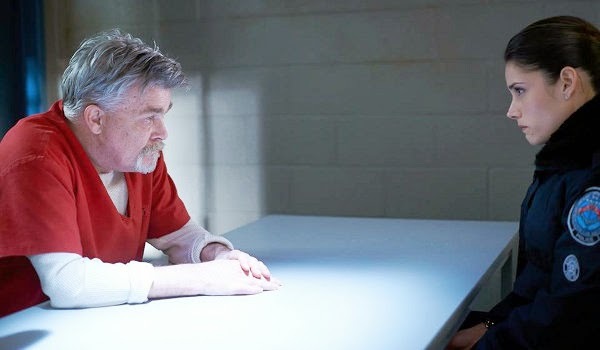 After arresting Nighthorse, who fills in the missing pieces to the story of Ridges resurrection and plan to count coup on his enemy, Walt learns Branch's life is still in great danger. Promoting her role in Sin City: A Dame to Kill For, Jessica Alba is the cover model for the August issue of British GQ. In her interview the actress discusses building a business empire, losing her inhibitions and becoming more comfortable with herself over the years, reprising her role of Nancy Callahan in the Sin City sequel, learning to use a lasso, and her Into The Blue co-star Paul Walker. Continuing the "Men of Tomorrow" storyline, Superman #33 sees both Superman and Clark investigate Ulysses' origins (which leads to a tearful reunion) while Ulysses, learning about secret identities for the first time, attempts to become acquainted with his new home. 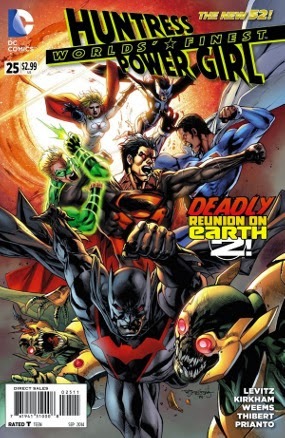 The comic keeps the two heroes apart for much of the story while Clark pumps Perry White for information about the Ulysses Research Laboratory and follows up the leads as Superman, but writer Geoff Johns keeps the pair connected through the shared common themes of heroes raised on worlds far from home. The choice to reunite Neil with his parents is an intriguing one. Along with underlining the threat of Klerik, the comic further sells me on the idea of Ulysses as a genuine hero (while not completely removing my fear of an eventually heel turn for the character). Clark's renewed interaction with The Daily Planet staff also brings back more classic elements of the character. 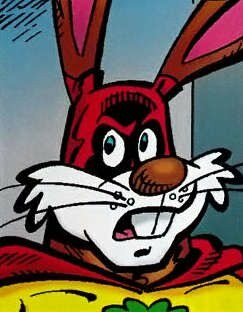 Now if they could just get him out of that ridiculous armor. Worth a look. Marvel's Agents of S.H.IE.L.D. come to Comic-Con to discuss the show's First Season and Season Two. 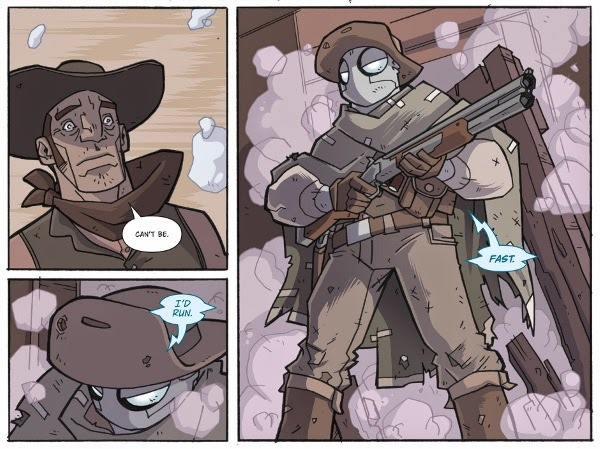 The latest issue of Atomic Robo: The Knights of the Golden Circle could easily be titled "Atomic Robo and The Great Train Robbery" (which only kinda, sorta goes according to plan). With the help of his new friends, Atomic Robo sets out to rescue a trainload of prisoners and stop the transported weapons and ammunition from reaching it's destination (which turns out to be easier said than done). Dan Harmon and Community's stars sit down to talk about the show's return. From San Diego Comic-Con here's part one of the Marvel panel discussing Ant-Man and Avengers: Age of Ultron. You can find part two and part three of the panel inside. Ten years ago Zack Braff wrote, directed, and starred in a little film called Garden State. Over the next decade the actor continued to work in front of the camera but other than directing a few episodes of Scrubs left the work behind the camera to others. With the help of a Kickstarter campaign, Braff returns to the big screen with Wish I Was Here which features many of the same quirks of his Garden State while focusing on sensibilities that have evolved over time. Despite having a similar slice-of-life take on a character not too far removed from his own (here Braff stars as a struggling actor with an overworked wife and demanding children), Wish I Was Here is far less effective than Garden State. 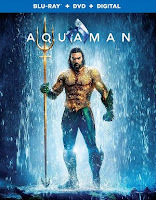 Co-written by Braff's brother Adam, the new feature provides some great individual moments (including reminding us that Kate Hudson can act when called upon to do something more than braindead romcoms), but fails in becoming more than the sum of its parts by offering an overly simplistic ending to a messy (and increasingly cliched) life seemingly freed of all troubles in under two-hours. The stars of Arrow, The Flash, Gotham, and Constantine converge in San Diego for the DC WB panel at Comic-Con. Here's part one of the San Diego Comic-Con panel for Arrow with cast and crew discussing Season Two and plans for the upcoming Season Three. You can find part two inside. 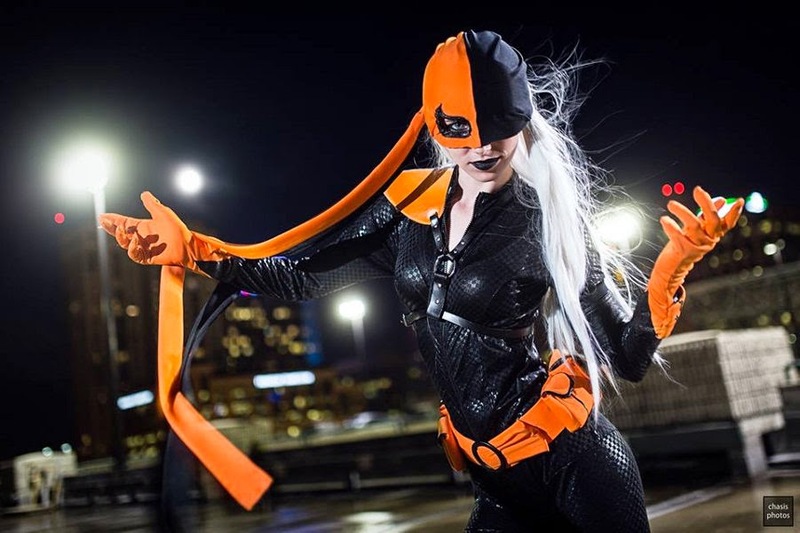 LeeAnna Vamp, Abby Dark-Star, and Lauren Bregman sit down to discuss cosplay with Daemon Hatfield and Alexis Cozombolidis. Here's part one of the Once Upon a Time panel from this year's San Diego Comic-Con. You can find parts 2-4 inside. 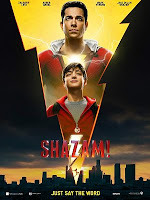 Returning to Cartoon Network after being abruptly pulled back in October, the final 15 episodes of the series begin here with the first of two episodes included in the previously-released home video set. 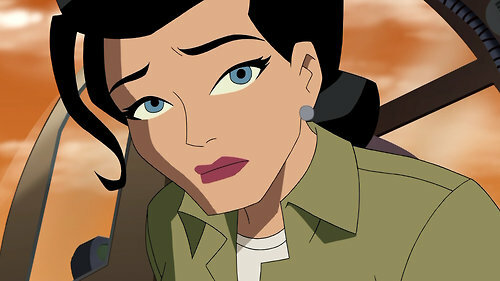 Misplaced affection and jealousy are the major themes of "Attraction" as Magpie (Grey DeLisle), misunderstanding Batman's (Anthony Ruivivar) guilt over her condition for romantic overtures, comes to the conclusion that the only thing stopping the Dark Knight Detective from openly returning her affection is Katana (Sumalee Montano). Magneto's vagabond mission across the globe to unearth who is behind the rise of attacks on mutants leads him to Hong Kong based on the intel provided by his new friend Briar Raleigh. Allowing himself to be taken prisoner, Magneto wakes in a prison where he is put into combat against a Predator X for the enjoyment of paid spectators whose thrill of the fight swiftly evaporates when they discover just who they've let in the building. Although the mutant-hunting creature is harder to deal with than at the peak of his powers, Magneto uses the Predator X's strengths against it before turning his fury on those in charge of the operation. Despite the fact that the reasons for Cyclops and Emma Frost's power loss was explained a month ago (a finale which involved our lead character), Magneto's power loss hasn't been fixed (or apparently even yet explained) in this issue. 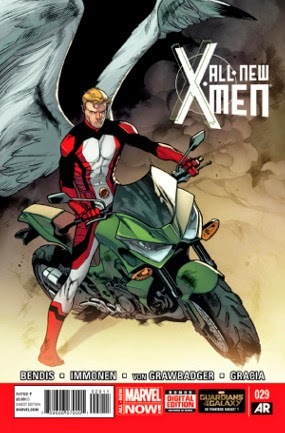 In the overall scope of things Magneto seems to be lagging behind the other X-books. Of course that may be why Marvel has put two issues of the series out in less than a month. Worth a look. Introduced in Matt Wagner's Zorro Rides Again series, Lady Zorro is brought out of retirement by Zorro himself who needs her help to recover a sacred Indian war axe, stolen by mercenary soldiers with whom she discovers she has unfinished business. 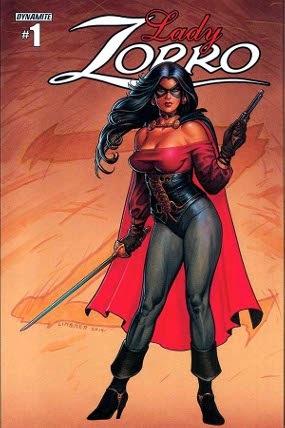 Although I could have done with a bit less cheesecake from artist Rey Villegas, for a comic titled Lady Zorro it's certainly nothing unexpected. For those unfamiliar with the character's origins writer Alex de Campi works in Esmeralda's troubled past while centering the story around characters and events both crucial to the protection of California and tied to personal vengeance (on both sides after Esmeralda dispatches the female friend of the soldier responsible for the slaughter of her family in a rather brutal manner). If your interest wasn't already piqued beforehand, Lady Zorro #1 won't do much to sell you on the mini-series but Zorro fans will likely enjoy the swordplay and the chance to see Lady Zorro in action once more. For fans. The morning after Mike's (Aaron Tveit) somewhat hollow victory that threw a wrench into the Solano Cartel's drug smuggling operation, but netted the FBI no big fish, the harsh light of day brings with it news of Jakes' (Brandon Jay McLaren) arrest and Paige (Serinda Swan) taking the place of one of the human trafficking victims who is now lost in a system Mike and his team know almost nothing about. Already keeping Lawrence (John Kapelos) locked down in a safe house not knowing who the identity of the Solano's mole inside law enforcement who disrupted the operation and not knowing who to trust, Mike decides to use the uncooperative insider to get any information out of Lawrence which might lead the team to Paige, but to do so he will need Briggs' (Daniel Sunjata) help. Falling back on a long debunked myth Hollywood fell in love with years ago that somehow a person only uses 10% of their brain, the latest movie from writer/director Luc Besson casts Scarlett Johansson as a completely unexceptional young woman whose mind is opened up by a designer drug allowing her to access more and more of her "unused" brain. The result feels very much like a script where only a fraction of 10% of a person's brain power was used to write it. Kate (Rachael Leigh Cook) calls in Daniel Pierce (Eric McCormack) to help work an unusual case involving a grieving mother and the woman (Sadie Stratton) who stole her fake baby doll. Where one woman was a grieving mother who had the doll made to resemble the son she recently only to lose him when the dollmaker (John Hans Tester) sold him to another customer the other would-be mother honestly believes the baby doll to be completely real. When one woman turns up dead, with the baby missing and the other woman with an ironclad alibi, one of the show's more unique murder investigations begins and only gets stranger when they discover a real missing baby is at the heart of the entire sordid mess. And I'm done. 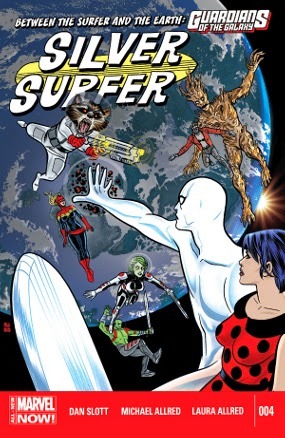 I've become increasingly less interested in writer Dan Slott's new version of the Silver Surfer as the series has gone on. Returning Dawn Greenwood to Earth the Surfer encounters the Guardians of the Galaxy (in a shoehorned movie reference) whose treatment of the Marvel Universe's most noble and tragic character makes as little sense as Slott continuing to fill the Surfer's dialogue with various pop culture references. Sigh. Removing his silver coating again (which still makes NO GODDAMN SENSE as it has been long-established that he's no longer human underneath) we even get Norrin Radd stuffing himself full of Clam Chowder. Groan. And on attempting to leave our hero finds himself trapped inside the barrier long since removed by Galactus meaning the most interesting aspect not toyed with in Slott's version of the character (his limitless ability to travel across all of space) has been removed along with his dignity and nobility. Kill me now. Despite the actions of Mona (Janel Parrish) and her new cabal, in the latest episode of Pretty Little Liars it's the Liars own doubts and concerns, and those of their loved ones, which begin splintering the group still adapting to Alison's (Sasha Pieterse) return. 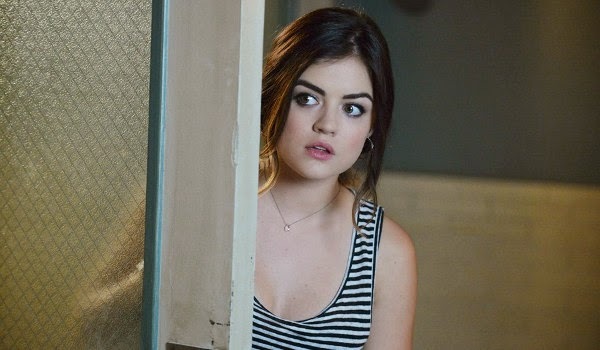 With Aria (Lucy Hale) busy with her new volunteer job at Radley trying to uncover the story behind the unusual drawing of Alison's mother, and Spencer (Troian Bellisario) standing-in for her helping out the still injured Ezra (Ian Harding), it falls on a discontented Hanna (Ashley Benson) to show up with Emily (Shay Mitchell) and Ali for an impromptu dinner party thrown by Mrs. Fields (Nia Peeples). 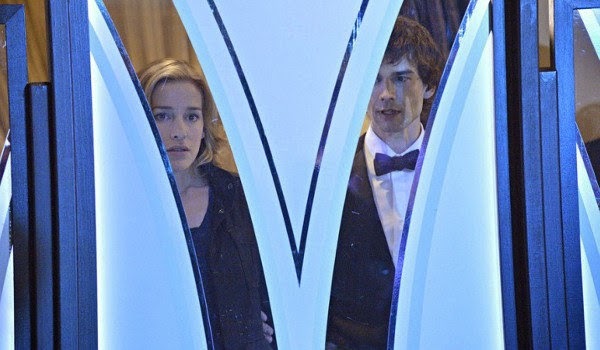 A lead in the money behind the Chicago bombing sends Annie (Piper Perabo) and Auggie (Christopher Gorham) to Paris where Auggie is forced to balance his feelings for his recent ex and his new girlfriend Hayley (Amy Jo Johnson) while attempting to woo his old girlfriend Natasha (Liane Balaban) into helping the CIA break into the Paris bank's security. How's that for complicated? 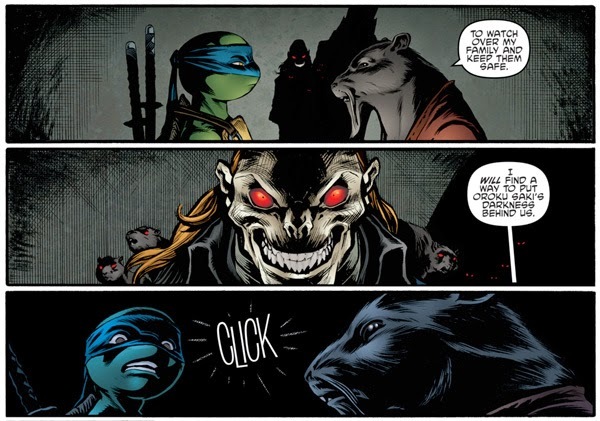 With his brothers dealing with Old Hob and Slash (see last issue), Teenage Mutant Ninja Turtles #36 centers on Leonardo and Splinter and the introduction of a new mysterious and meddlesome character who will likely cause the Turtles more than their share of grief in the months to come. Getting in more than a few good-natured digs at marketing language, here's Weird Al Yankovic with the official video for "Mission Statement" from his new album Mandatory Fun. When a prison road gang discovers part of a dead body Walt (Robert Taylor) and Vic (Katee Sackhoff) head out into the field despite the trouble night's events and the lasting effects of a grazed bullet wound and concussion. 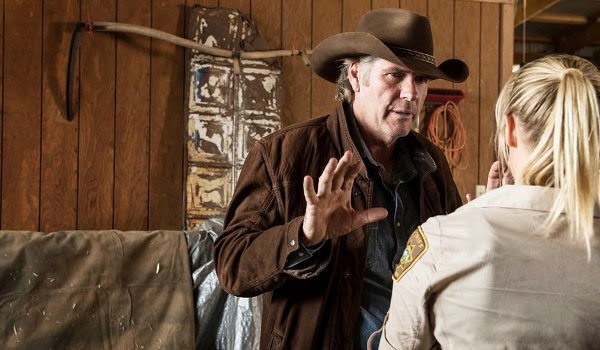 The victim's widow (Jennifer Parsons) and daughter (Mandy Brown) point the sheriff in the direction at the owner of the land (Larry Clarke) who had been trying to slowly force the family into bankruptcy and when that failed, they believe, he finally took a more permanent approach to the situation. 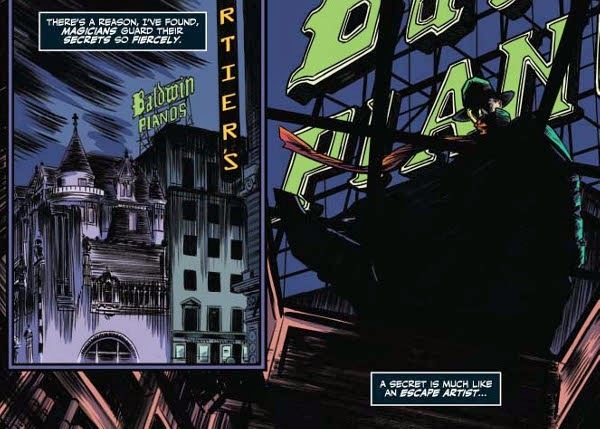 Although the timing of the one-shot seems odd with Howard Chaykin's mini-series (and that crappy current-day comic) being Dynamite's only current titles involving The Shadow, The Shadow #0 offers us an one-shot at the opposite end of the spectrum of Chaykin's tale be giving us a peek at the vigilante's earlier days and his ties to an escape artist named Harry Houdini. We now have a full-length trailer for The Imitation Game starring Benedict Cumberbatch as mathematician Alan Turing tasked with breaking the Nazi codes created by the German's Enigma machine during World War II. Keira Knightley, Matthew Goode, Charles Dance, and Mark Strong also star. The film opens in theaters on November 21st. Bookended by the deaths of major characters in both the season opener and the season finale, the Second Season of Netflix's House of Cards continues the devious machinations of former House Whip turned Vice President of the United States Frank Underwood (Kevin Spacey) whose quest for power has not been satiated now that he has found himself one step away from the most powerful office in the land. 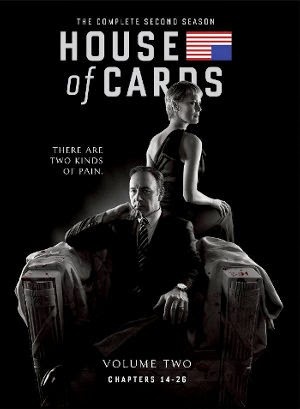 The main conflict of the season comes from Frank's repeated attempts to drive a wedge between President Walker (Michael Gill) and his trusted advisor billionaire Raymond Tusk (Gerald McRaney) while continuing to move chess pieces around the board including backing the upstart Jackie Sharp (Molly Parker) to fill his old role in the House and play a dangerous game putting the U.S. economy and its trade status with China in serious jeopardy. Once completed, Frank must deal with the fallout of the situation including weathering the President's disfavor. Although the character of Emperor Awesome (Sam Riegel) has appeared in a pair of previously-aired episodes in small roles as a rival of Lord Hater, we haven't been given a good look at what makes the character tick until now. 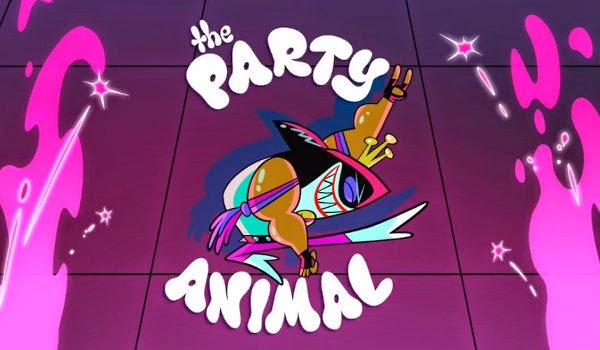 "The Party Animal" finds Wander (Jack McBrayer) and Sylvia (April Winchell) on a peaceful world invaded by Emperor Awesome and his Fist Fighters to throw one of Awesome's legendary (and literal) planet-ending parties. She-Hulk #6 continues, and eventually stalls, the Blue File storyline. 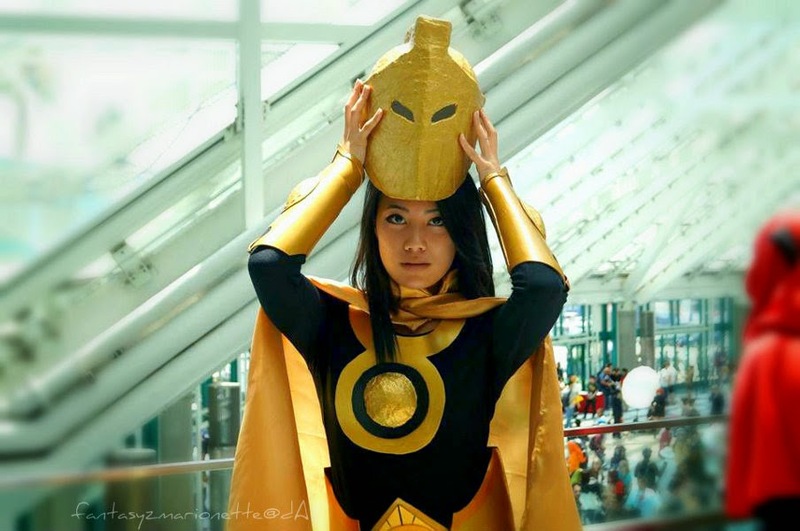 While offering glimpses worthy of note including resurrecting properties of Angie Huang's pet moneky Hei Hei and the fact that She-Hulk is not immune to the mind control involved in making both heroes and villains forget whatever happened in North Dakota (which only kicks in now? 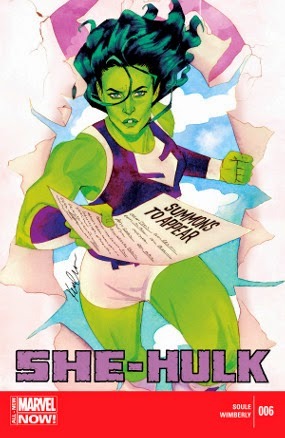 ), the issue brings the investigation to a halt along with tons of new potential clients for She-Hulk as the comic (apparently) has decided to shelve the storyline (for now) and more in a different direction. I was less-than-thrilled with switch to Ronald Wimberly's art beginning last issue, but the Blue File storyline offered an intriguing mystery I wanted to see through. Since that isn't going to happen any time soon, and the art is even more jarring this month, I'm sad to say I'm probably done with the title. 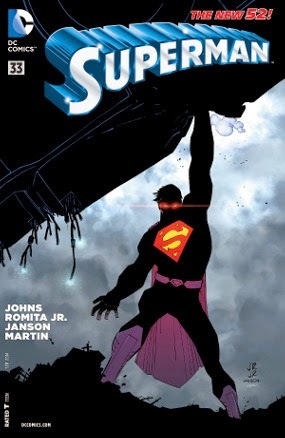 I think Charles Soule has introduced several intriguing ideas for the new series including Jennifer's Walters' unorthodox staff and offices catering to super-human characters, but despite my appreciation of the character there's simply not enough here to bring me back month after month. Pass. The line between a movie being artistic and pretentious is, like beauty, often in the eye of the beholder. Director Jonathan Glazer helms this tale of a beautiful woman (Scarlett Johansson) stalking lonely men in Scotland. 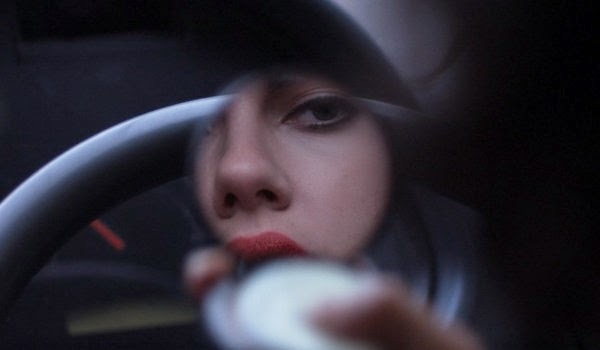 Adapted from the novel by Michael Faber, Under the Skin has sharply divided audiences over the issue of style versus substance. Promoting her upcoming movie The Two Faces of January, Kirsten Dunst sat down for an interview and photo shoot for the July issue of Flaunt. In the interview Dunst discusses writer/director Hossein Amini, the importance of Sofia Coppola's The Virgin Suicides to her maturation as an actress, working with Lars von Trier on Melancholia, the security of her adopted home in London, fighting for the scarce number of good female roles, separating her work and public life as much as possible, and living with constant media attention and Internet gossip. You can find the pics from her photo shoot inside. 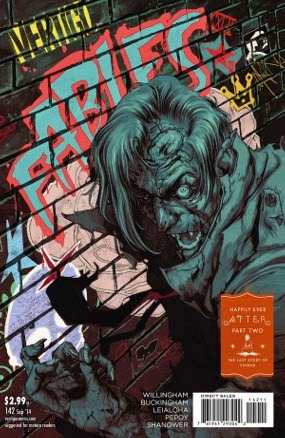 While those behind the scenes, including Maddy, continue to push Fabletown into a war between Rose Red and Snow White, including a spell which puts the two women in off-setting pairs of magical armor, White is far more concerned with the news that an out-of-control Bigby has been sighted in the Mundy world. In a world where symbolism matters far more than it does it ours, it is important to notice Snow White is cast in the black armor suggesting (at least in the view of the person behind the spell) that she has apparently been cast as the villain in Fabletown's downfall. Despite Snow White's statement of having no interest into going to war with her sister the comic continues to push the story forward. We are also offered more of Lancelot as Rose Red's lover (and his role as the possible Guinevere in the new story who might betray her to... Snow White?). The shattered Bigby's return muddies the water a bit (or is it the distraction needed to cause the final wedge between sisters? ), and we'll have to wait and see how long it takes for Fabletown's various magic users to discern the missing piece of the great wolf is being used to control him. Worth a look. 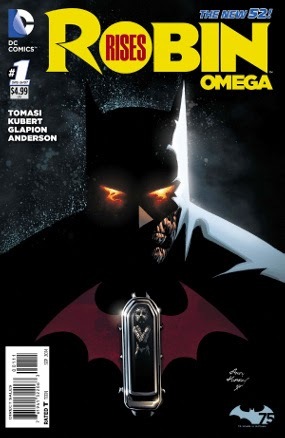 How much you like Grant Morrison and his work on Batman over the past few years will certainly temper your response to Robin Rises: Omega #1 which launches the storyline which will likely bring Damian Wayne back from the dead and re-install him as Robin once more. 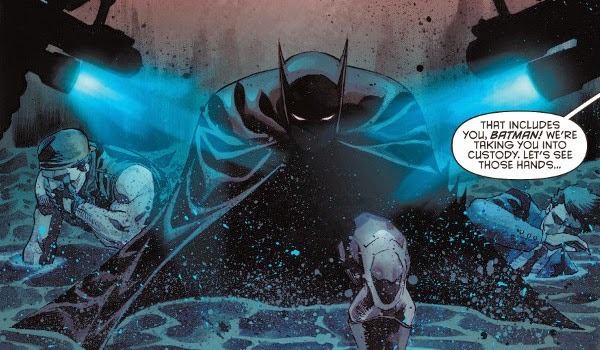 Much like Morrison's own work, Robin Rises: Omega #1 is overly-complicated, clunky, and unnecessary long winded (can't they just throw the kid in a Lazarus Pit and be done?). The $5 comic features an extended highlight reel of Damian's story up to this point which leads more than a little like writer Peter J. Tomasi's Morrison fan boy wanking. With a fifth of the comic taken up with the prologue, the story finally offers us into the main conflict by introducing Glorious Godfrey and Apokolips into the question coming between the conflicted sides of Batman and Ra's al Ghul's forces. Stealing Damian's body for a magic crystal hidden inside (because why? ), Batman looses the villains when the Justice League shows up (unnecessarily) and forces them to flee back to Apokilips - with Damian's coffin. Picking up the thread of last week's episode, 15 Division comes together to search for the man (Andrew Butcher) who they believe murdered and stuffed a beloved teacher into the trunk of his own car. Believing the recently-pardoned convict may have been doing a favor for a friend on the inside, Swarek (Ben Bass) and Andy (Missy Peregrym) begin questioning suspects in the prison who knew the man best. 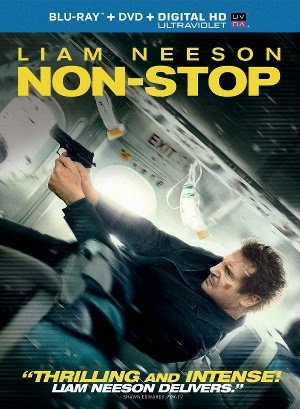 Non-Stop is the kind of fast-paced dumb action thriller which Liam Neeson seems to so enjoy making these days. Well-paced, the story about an air marshal aboard a transatlantic flight hijacked by an unknown adversary has all the trademarks of a cliched action thriller including an uber-smart bad guy, protocols which keep putting innocent lives in danger, a down on his luck hero who breaks the rules, the tease of a romantic distraction (Julianne Moore), quick-cut blurry action sequences, plenty of implausible coincidences, consistently dumb choices from pretty much every character, and enough red herrings to feed half a theater full of movie goers. Trouble begins halfway through the flight when Marshall Bill Marks (Neeson) receives a text message from a hijacker promising to kill a passenger every 20 minutes until he is paid $140 million all while making it appear to both the outside world and the passengers on the plane that Marks is the one responsible for the hijacking. The discovery of a doorway in the middle of space piques Wander's (Jack McBrayer) curiosity. Despite Sylvia's (April Winchell) misgivings, the pair step out of their own universe and into a white void where anything the either Wander or his best friend think about becomes reality. 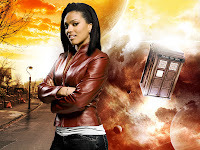 Although Wander takes to the new adventure with relish, after a while Sylvia grows restless with the new reality - especially when the pair lose the door back to their own universe. Mike's (Aaron Tveit) Washington D.C. and Graceland lives collide with the arrival of Jessica Foster (Emily Rose) who puts Paige's (Serinda Swan) investigation into the human trafficking of Eastern European girls on hold while pushing Mike to make a hard connection between Carlito Solano (Erik Valdez) and the drug smuggling in the passenger buses. 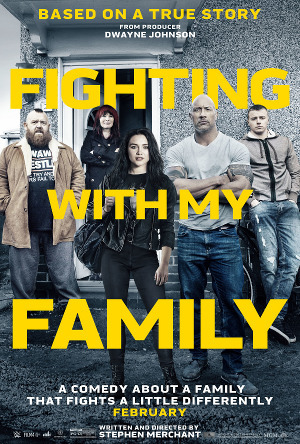 Forced to physically attack Carlito to stop the crazy would-be drug lord from killing his sister, Johnny (Manny Montana) is forced to go to extremes and play on Carlito's obvious attraction to the undercover agent. Wrapping up the latest mini-series, Smallville Season Eleven: Lantern #4 features Green Arrow getting a measure of revenge against Prometheus and Superman calling on the help of Chloe and Tess to reboot the yellow rings and stop Parallax and his new army of brainwashed Yellow Lanterns who include John Stewart. Last year's Cars spin-off starring Dane Cook as a cropduster with dreams of becoming a world-class racer came and went without much fanfare. 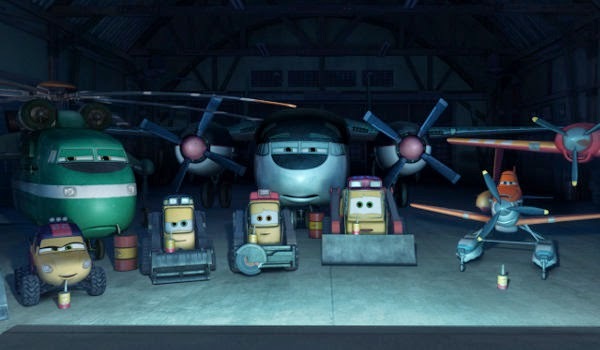 Made by Disney rather than Pixar, Planes certainly had the feel of far too many of Disney's straight-to-video sequels (despite the movie actually getting a theatrical release). I found the first film to be more than a little clunky, and certainly the weakest of any of the movies set in the Cars universe, but it still had enough charm and beautiful animation to keep my interest. Planes' sequel feels much the same with some uneven writing and cheap fart jokes. However, along with its impressive look, the sequel does celebrate the service of firefighters and offer a nice lesson for its target audience. While being forced to take in his father (Peter Coyote), who was already difficult to live with before his onset of Alzheimer's, Daniel Pierce (Eric McCormack) is brought in by Kate Moretti (Rachael Leigh Cook) on a locked room mystery involving a neuroscientist (Paul Cassell) who was murdered inside his own safe room. Leaving Lewicki (Arjay Smith) to deal with a father he never could, Pierce dives head first into a case that will test his distrust of technology and force him to reevaluate just how big a problem his father's mental illness has become (and not just the "humorous" moments like walking around the house naked). The latest issue of Justice League United finds the team on Rann where they must not only save the young child from being corrupted into something true monstrous by Byth but also fix a damaged Zeta-Beam which threatens the lives of thousands. Although Martian Manhunter is able to reason with the child, Byth manages to escape capture and one member of the team will sacrifice himself to stop the Zeta Beam from destroying the city. Much like the issues which have preceding it, Justice League United #3 works best when playing with the relationships of the new team - particularly the bickering between Animal Man and Green Arrow. The crazy alien space baby storyline hasn't been as effective but that part of the tale seems to be concluded here. 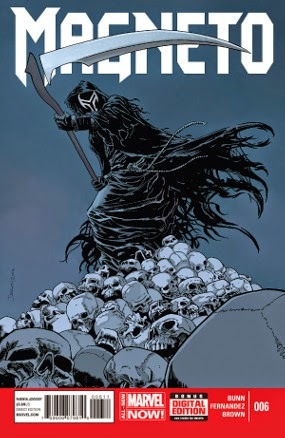 The death of a major character seems a bit odd, especially as the title hadn't even had time to properly work Hawkman into the group dymnamic (as nearly all of his storyline was separate from that of the League). I expect him to miraculously return next month (like his severed arm did earlier in the series). Worth a look. 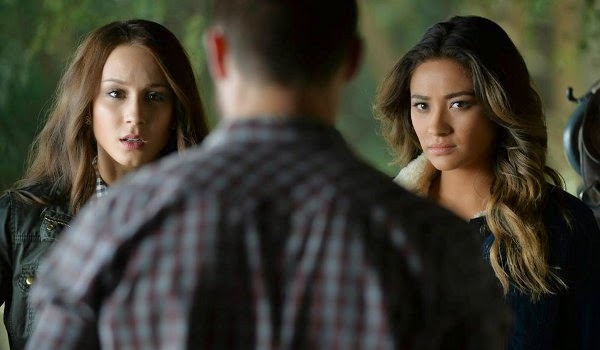 The destruction of Toby's (Keegan Allen) childhood home and the return of A leaves the Liars scrambling for answers. 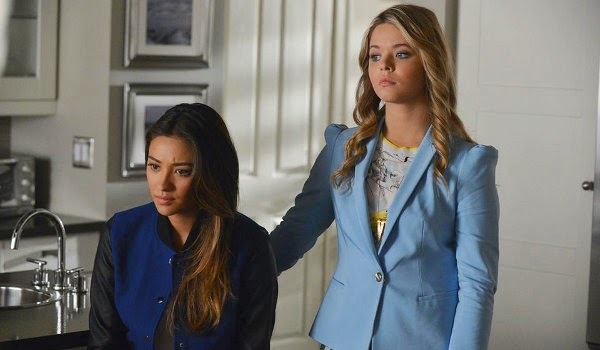 Picking up the pieces of the show's 100th episode, Alison (Sasha Pieterse) plans to leave Rosewood and Hanna (Ashley Benson) is inclined to help her (although it has more to do with Hanna's uneasiness to what Alison's return has done to her personality than for her friend's safety). Getting wind of their plans, Emily (Shay Mitchell) steps in to stop Alison slinking back in the shadows at the opportune time to rescue her friend and stop A, or one of their enemy's minions, from choking the life out of Ali in her own home. After Annie (Piper Perabo) is caught in a traffic accident while trailing a member of the NSA (Michael Cram) who Auggie's (Christopher Gorham) source believes in the leak responsible for the attack on the CIA Chicago field office, Covert Affairs takes the time for Annie's heart-to-heart with her handler discussing her medical condition and how it was diagnosed and treated with the help of Eyal (Oded Fehr). Fearing the hospital blood work might expose the secret she's worked so hard to conceal, and end her role as a field operative, Annie redoubles her efforts to prove her theory before her medical records make it to Joan's (Kari Matchett) desk. Continuing the storyline involving the attacks on the school by Xavier and the Future Brotherhood of Mutants, All-New X-Men #29 finds the team victorious over the future mutants. 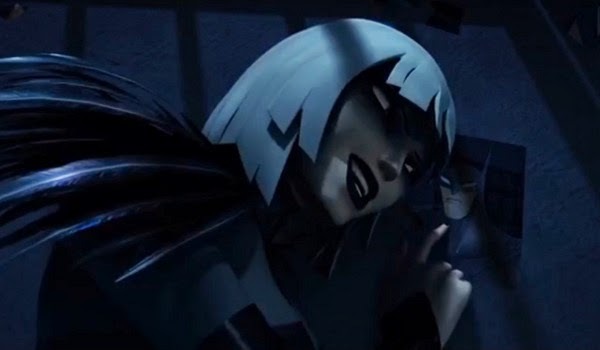 Despite capturing Xavier and turning him over to the authorities, it appears the time loop involving the team's meddlesome trips to the past has not yet been broken. Of all the possible relationships between the past and current X-Men I'll admit I didn't expect Angel and X-23 to get together romantically (which is teased more at the end of this issue and even further on next month's cover). Although on the face of it the pairing seems odd, the more I think about it the more I like the pair together and the possibilities such a relationship might yield. All-New X-Men #29 is another strong issue although by their nature the Brotherhood's failed attacks are beginning to grow stale. Hopefully next month's issue moves towards an end to this storyline and begins to look forward to something new for the team to sink its teeth into. Worth a look. Sometime coincidence can get you into all kinds of trouble. That's the case for Vic (Katee Sackhoff) in "Population 25" when she and her husband Sean (Michael Mosley) are stranded on the side of the road a few miles out of town on their way to a romantic weekend. Things take a dark turn when the deputy goes for help by knocking on the first door she sees which just happens to be owned by the paranoid Chance Gilbert (Peter Stormare) and his cult of followers who don't believe a word of Vic's story and promptly take the deputy hostage. Although it casts Vic as a victim for the entire episode, "Population 25" offers an opportunity for Sackhoff to show-off her acting chops and provides a memorable ending that leaves the fate of the show's title character in (at least a little) doubt. The twenty-fifth issue of the series sees both the Huntress and Power Girl make their goodbyes before returning to their own Earth. Although the journey back home has been foreshadowed for some time, I'm less than thrilled with the comic sending the two heroes back to a universe I care even less about than the New 52 version of Earth-1. However, given that future solicitations suggest one or both characters will be making appearances in titles taking place on the main New 52 Earth it's a bit unclear how long their trip home will last. 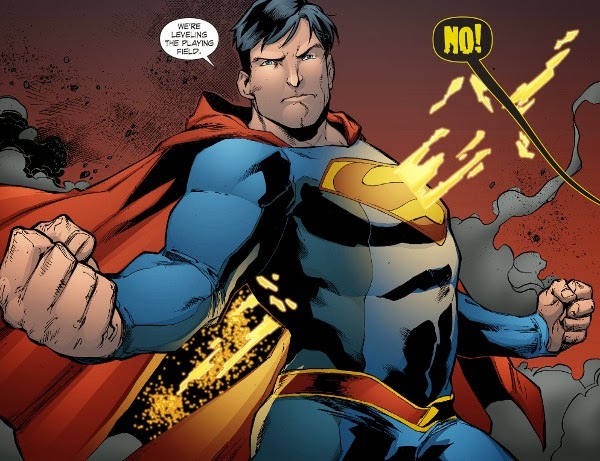 With at least the next several issues taking place on their hellish homeworld which has fallen to Apokolips and an evil Superman, Worlds’ Finest #25 plays to the series strengths by centering the storyline on the friendship and interaction of our two heroines. The issue works well and even an appearance of the New 52 version of Desaad (adding a bit of action to the proceedings) can't ruin what works as a bittersweet portend that perhaps the series' best issues may now have already been told. Worth a look. 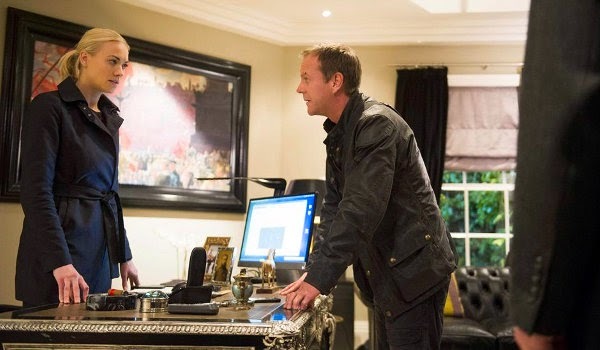 24: Live Another Day comes to an end with a final confrontation between Jack Bauer (Kiefer Sutherland) and Cheng Zhi (Tzi Ma) while the United States and China race towards war and Kate (Yvonne Strahovski) makes a desperate attempt to save Audrey (Kim Raver) from Zhi's men. Although war will be averted, and Jack will exact a measure of revenge on his old enemy, it won't be without a cost as the season comes to a close with the death of a major character and Jack Bauer trading his life for another leaving the American super-agent back in harms way and the door open to another possible return sometime in the near future. Since the title relaunched with Matt Murdock and Kristen McDuffie relocated to San Fransisco we've known Foggy Nelson "died" but we haven't known how exactly Daredevil arranged it, until now. Daredevil #5 offers a look back after Murdock publicly outing himself as Daredevil but before moving to the West Coast to start his new life. 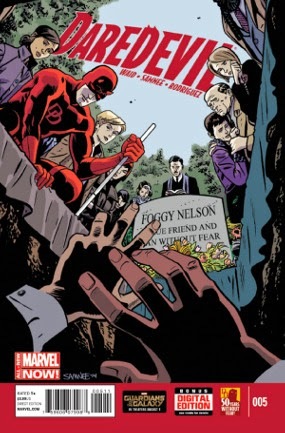 Knowing his friend would prefer a hero's death, and taking advantage of an unique situation, the latest comic gives us a look at Foggy's final heroic moments and how, with the help of Hank Pym, Daredevil managed to sell the lie giving Foggy the chance to continue his cancer treatments while the rest of the world mistakenly believes Daredevil's best friend is died helping Daredvil fight Leap-Frog. Nothing is really gained by waiting until the fifth issue to explain events (other than getting that first trade paperback out the way), but the story Mark Waid tells is a nice moment for Foggy to shine and reminds us, through Foggy's eyes, just who Matt Murdock is. Worth a look. With removal from duty and subsequent Jim Gordon's arrest the GCPD isn't quite as accommodating to Batman as it has been in the past. After getting stuck in the middle of a Mexican stand-off between members of the Squid's organization and the Kings of the Son, Batman must also avoid the police who show up to arrest everyone involved. Magneto #6 continues to series' darker turn for the character from would-be hero to vigilante and, with the events of this issue, possibly super-villain once again. 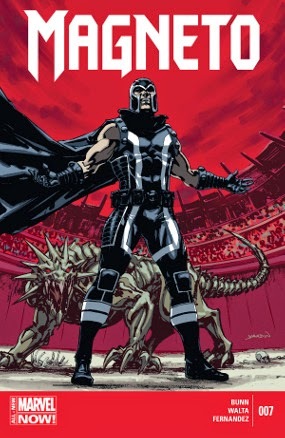 After hunting mutants and seeking out the source of the new Sentinels, based on the intelligence provided to him by his new associate, Magneto turns his attention on the mutant-hunting Marauders created by Mister Sinister to use their own mutant abilities to kill their own kind and be reborn into new cloned bodies if any met their end.